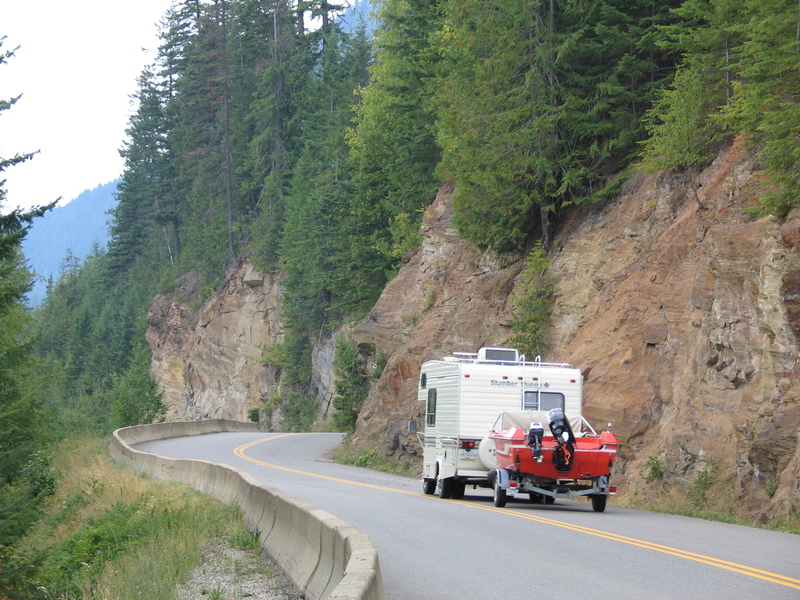 Do you know everything there is to know about travelling on BC’s beautiful highways with a recreational trailer in tow? No? Here are some helpful points to keep in mind when you head out on the highway with your RV combination. Know how heavy your load is. Most recreational trailers weigh less than 4,600 kg. If your trailer weighs under 4,600 kg (fully loaded), your Class 5 or 7 licence is all you need. If your load is over 4,600 kg fully loaded and you hold a Class 4 or 5 licence, you need to get a house trailer endorsement or hold a different class licence. Understand your vehicle towing requirements. Your vehicle owner’s manual will tell you the maximum weight your vehicle can tow. Do not exceed this amount as it will put you, your trailer and others at risk. Most manufacturers have trailer towing packages including: type of engine, transmission (heavy duty), cooling systems, axles and suspension, power brakes, steering, tires, mirrors, electrical system and more. Make sure your truck is equipped for the trailer you intend to tow. Have more questions? Here’s what the CVSE wants you to know. Know the Gross Vehicle Weight Rating (GVWR) of the trailer including its load, and how much of that weight is on the hitch, to calculate if the truck is capable of towing the trailer. There is usually a plate or a decal on the trailer indicating the GVWR. This is the manufacturer’s recommended maximum weight of the trailer and its load. Do a pre-trip inspection. You should conduct an inspection of your truck and trailer at least daily and, when travelling, every time you stop. The inspection includes: checking under the hood, checking gauges in the cab, walking around the truck and trailer to check lights, tire pressure and mechanical components, making sure boats and other items on travel trailers are securely buckled down. The final step is to pull ahead slowly and check for brake and steering response. ICBC has compiled a detailed list of things to check in their pre trip inspection document. Realize that speed and weight affect stopping power. Understand what is required of you and your vehicle combination to move and to stop. This includes giving yourself adequate stopping distance and stopping time (at least five seconds between you and vehicle in front of you). As always, inclement weather, construction zones, emergency work, and other unique situations on highways may require you to slow down or even stop with short notice. Be prepared and stay focused. Passengers are never allowed to travel in the trailer. Propane appliances should be completely closed during travel and equipped with detectors to alert you of a leak. Carry a fire extinguisher on board in case of fire. Make sure water valves are closed, power lines are disconnected and all vents and awnings are completely closed before you take off. Make sure ATVs and boats are properly secured to the trailer. Regular vehicle maintenance is another important part of travelling with or without a recreational trailer; keeping your pride and joy road ready will ensure you have a safe and enjoyable trip. Refresh yourself on the rules of the road. It’s always a good time to refresh your knowledge of BC road signs. Take this practice test. Happy and safe trails to you! Are you required to have a weight distribution hitch when towing a travel trailer? Thanks for your question about a weight distribution hitch when towing a travel trailer. Hi Joe – we did hear from CVSE that it is not a requirement, but it might be needed to avoid the axles from being overloaded. For more info about your specific setup, contact email address above. Thanks! Pre trip inspection is key! After each pit stop a good walk around inspection is a good idea too. Driver with Delta Towing I’ve seen a few highway mishaps. I have a 42 foot toy hauler fifth wheel, however the overall length of the truck with the RV is under the overall limit. Can I travel in B.C.? The max overall length of a truck and or trailer is 12.5m on its own and 20m overall for the combination of the two. Hope that this helps! Hi. Would this be considered illegal in BC? https://freedomhauler.com/ Not technically triple towing? Hello and thanks for your question! We have sent it forward to the good folks in the CVSE for review. Stay tuned. Hello again Allan – the CVSE has let us know that this configuration would not be legal in BC as it is considered a 3 vehicle combination. I was told that there is a length max for towing a toy hauler in BC. what is this maximum length and is there actually one? so truck and trailer combined length what is the maximum? Is it legal to leave the ball hitch in the receiver of the vehicle all the time with out towing? Thanks for your question about ball hitches. I have recently bought a new fifth wheel trailer in BC, which according to the manufacturer’s website, has a length of 41’10” (12.750 m). This exceeds the 12.5 metres (41′) length as stipulated in the CVSE Recreational Vehicle Towing Fact Sheet. My question is how the length of a fifth wheel trailer is measured? C) to the rear bumper of the towing truck? I can’t imagine a reputable RV Dealer could/would sell an illegal oversized vehicle in BC. But I do want to obtain this information to confirm my trailer is legal in BC and other Canadian Provinces, and to ensure there is not potential for problems arising with ICBC if I have to claim on my insurance policy, because knowing Insurers, they will exploit any loophole they can to get out of paying out on the policy. Hi there! We have sent your question to the CVSE for review. Stay tuned! Good afternoon Martin! It sounds like the CVSE have also responded to your question, but we are going to post their response here, just in case someone else has a similar question. (e) a combination of vehicles that contains a licensed booster axle assembly mounted to the rear of a semi-trailer lowbed and has an overall length that exceeds 23.0 m.
The CTR defines overall length as being the greatest overall longitudinal distance of the vehicle, so it would be from the front of the fifth wheel to the rearmost point. Unfortunately the bike rack would not meet the allowance under (iii) for auxiliary equipment, so it may need to be removed to help get you under 12.5 m. Permits are not available for travel trailers to exceed the maximum OAL found in 7.08 (6). Am I required to have a plate on my quad to transport from one place to another in BC on a licensed trailer???? Am I required to have a plate on my quad to transport it from one place to another on my licensed trailering BC ?? Good question. Unfortunately we can’t say for sure but suggest you connect directly with ICBC to find out. Hi there and thanks for all you do! We pull our jeep every year from Calgary to Vernon Bc. We use a very safe blu ox tow bar system and the jeeps lights are activated by the truck. The jeep has no usable brakes while in tow. The tow vehicle is a 2003 f350 diesel single rear wheel. The ministries act talks about only motor homes can be tow vehicles for another vehicle but does not mention towing vehicles under 1400kgs without brakes. But you can tow a trailer under 1400 kgs without brakes. Doing the calculations we are splitting hairs but if im good by 1 kg im going for it! Thanks for the comment and kind words! We shared your comment with the good folks in the BC CVSE and they informed us that theinformation you are looking for can be found in Division 5 – Brakes of the Motor Vehicle Act Regulations, with 5.02 (3)(c) being the most relevant. If the Jeep’s gross vehicle weight (not curb weight) combined with the dollies net weight is below 1,400 kg’s then brakes are not required. I would advise you visit a scale in Alberta, with the jeep loaded as you intend to have it during transit in BC, to confirm the GVW before your trip in order to avoid any surprises. Hope that this helps! I hope that this helps! No sure how to ask. I am looking for a small trailer to tow behind my suv but nothing quite right. I have since found atv trailers are perfect but need to know if it is possible to convert it to a road legal trailer and what I would need to do? (Paperwork, inspections, changes required to be road worthy, etc) have asked others but no straight answers. We have sent your question forward to the CVSE. Stay tuned. We sent your question to the good folks at the CVSE and here’s what they had to say. It’s difficult to provide an answer with just this information. ATV trailers are not manufactured to on-highway safety standards. However, in general terms, all trailers used or operated on highway must meet all applicable mechanical safety standards as defined in the MVAR and Vehicle Inspection Manual. All components, including the hitch, tires, body and lamps must meet safety standards. Without subjecting a trailer – or modified trailer – to inspection, a compliance or acceptability statement can’t be determined. Hope that this helps! I will be travelling into BC and I have a one ton dually truck towing a fifth wheel camping trailer. what my question is, is it legal for me to tow my quad trailer with my quad in it behind my fifth wheel camping trailer. Do you know where to find a copy of the UMTRI study cited in http://www2.gov.bc.ca/assets/gov/driving-and-transportation/cvse/commercial-transportation-manual/chapter-5.pdf as the reason for the prohibition on 3-unit recreational vehicles? The CVSE publication does not have a full reference. We are looking into this. Stay tuned! We sent your question to the CVSE who looked but could not find a copy of the study online or in our physical records. You might want to connect directly with the UMTRI to see if they can supply you with what you are looking for. Hope that this helps. I’m having a really hard time figuring out what’s allowed when trailering on a boat launch. but I can’t find a reference to it being illegal in the BC Motor Vehicle Act and I’m not sure if boat launches are even considered “highways” in BC. The only thing I could find about having someone in a boat while the trailer is moving is that in Transport Canada’s BOATsmart program it says you can have someone in the boat as it’s backed down the launch (although I’m not sure if there’s some law allowing it), but do the Provincial laws take priority over what Transport Canada says? Is it really illegal to have someone in a boat while it is driven down a boat launch? This is not a straightforward situation. However, ultimately it boils down to the fact that the Motor Vehicle Act and Transportation Act are written (with the exception of some small bits about ferries), in a way that applies to land based vehicle movement only. A boat has no definition or use in the Motor Vehicle Act except as possibly something which could be carried on a trailer. The use of boat launch ramps is simply not covered because that is not the intent of these pieces of legislation. A boat launch ramp is an area of transition. Areas of transition are often not included in legislation and have fewer “rules” associated with their use because it is simply not practical. •	What is a highway? The Motor Vehicle Act and Transportation Act define what constitutes a highway (see below for excerpts from the acts). Generally, a highway is land which is intended for the passage of vehicles and used by the general public. Therefore, one could argue that a public boat launch ramp is a highway if it is available to the general public. However, it is a bit of a stretch. •	It’s illegal to ride in a boat being towed on a highway? The main (legal) reason one is not allowed to travel in a boat while it is being towed down the highway is due to the requirement for the driver and all passengers to be in a “designated seating position” (Section 39 of the MVA Regs), which includes a seatbelt. The requirement to wear seatbelts does not apply when a vehicle is being operated in reverse (such as backing down a boat launch ramp) – Section 220 of the MVA. •	Jurisdiction? Fresh water is provincial jurisdiction whereas salt water is federal. So, there may be differences based on the body of water being accessed. All this being said, it seems like having someone seated responsibly and safely in your boat to help assist you down the boat launch ramp (and only on the ramp) is allowed. I appreciate the response and having somewhere to ask these kinds of tricky questions – Thanks so much for your help! Our pleasure Terry. Happy trails! What are the safety hook up requirements for a car dolly behind a motor-home. I have the basket style tie down straps for the car wheels to attach them to the dolly. I also have the safety chain hookup for the dolly to the motor-home hitch. Do I need separate axle straps to connect the car wheels with the motor-home hitch? We asked the good folks in the CVSE who said it sounds like this is being secured correctly – the car is secured to the dolly, and the dolly has its safety chains connected to the tow vehicle. Everyone is happy! Thanks for connecting with us here to double check. Are there any requirements for a company vehicle that has company decals to report to weigh scales when pulling a recreational vehicle in BC? The trailer is under the 4600Kg requirement and the towing vehicle has the required capacity. Thanks for connecting with us here. We sent your question directly to the CVSE and here is what they had to say. Commercial Transport Regulations 7.03 (3) states: “If the vehicle(power unit) is licenced over 5,500kg regardless of what kind of trailer they are towing, must report to any open Inspection Station Scale along their route”. If the power unit is under that weight they do not have to report. (d) rearrange the load on the vehicle or remove the whole or part of the load from the vehicle in order to comply with the provisions of the Act, regulations or permit before continuing to drive or operate the vehicle. (2) The driver of a vehicle on a highway, when directed by a traffic sign on the highway to report to scales, must drive the vehicle onto the scales for the purpose of weighing the whole or part of the vehicle by means of stationary or portable scales, measuring the dimensions of the vehicle and load, measuring and inspecting the tires, inspecting the load carried, or for any other purpose under the Act or these regulations. (3) Subsection (2) does not apply to the driver of a commercial vehicle of a licensed gross vehicle weight not exceeding 5 500 kg. I read that if a house trailer (RV) has a maximum mass greater than 4,600 kg a Code 07 is required for a clas 4 or 5 drivers license,. My question is does this apply to out of province vehicles. There is no such Code in my home province. Hello can you help me find good source links regarding flat towing in BC. I would appreciate that. My second inquiry is about towing a wagon style trailer with a class 7 or 5? We suggest you check out the CVSE webpage and if you have any other questions, the folks there are great at answering questions! I will be traveling from Arizona to the Yukon this spring. I am towing a fifth wheel trailer and it will be towing a small ATV trailer. The rig is under GVW and under 65′. I will be entering B.C. near Dawson Creek and traveling to the Yukon via Whitehorse. Everywhere I am towing this configuration is ok but I’m not sure about northern B.C. Do you know if highway law enforcement in upper B.C. has a reciprocity understanding for towing through this area or are they out to get me and the almighty $$$ ? I’ve heard from many that I’ll have no problems but I thought I’d ask here too. Hi, there are rumors about getting fined for leaving a towbar/ball hitch on a vehicle without a trailer. Is this possible? If so which act and section of said act is this written? Hi Shamus – No law about leaving a towbar/ball hitch on the vehicle without a trailer. However, you can’t exceed a hitch offset of 1.8m. I like that you suggest to do a pre-trip inspection at least daily. I can see why this would be a good way to make sure that everything is in good shape and nothing is loose. It might even be good to not only look at things, but to pull and push on them as well. Odds are if they can move around, then they will not last very long on the road. Glad to hear you found this useful Scott and you make a great suggestion about giving things a bit of a tug too. Safe travels and happy trails! Hello, I have been advised by my RV dealer in AB that when thing a fifth wheel trailer in BC the 7 pin power cord must be connected to a socket in the bed of the truck, not the 7 pin connector on the rear tow hitch. Is this correct? We spoke with our contact in the CVSE who said they are not aware of any such requirement. Hope that this helps! Thanks for the advice. Looks like the RV dealer is trying to pull a fast one on me. I have a Heavily Modified personal 1ton pickup for work and towing purposes, I would like to drive it to the lower mainland to pick up a motorcycle on the flat deck. Is my tuck subject to the provincial road safety’s legislation even though im completely legal in my Territory? Tire Protrusion,Exhaust,Suspension ect..
Is your vehicle configured and legal within BC? Basicly, im asking if the vehicle laws that apply to BC residents are enforced on out of province registered Motor Vehicles. All vehicles – including vehicles licensed outside of BC – that operate on BC highways are subject to the provincial Motor Vehicle Act & Regulatory requirements. Vehicles found to be non-compliant may be subject to enforcement. Transport Canada and the BC Motor Vehicle Act – Regulations speak to the requirements that manufactured or modified vehicles must meet. In terms of our provincial laws, Part 3 Section 25 of the BC MVA-Regulations covers off the need for inspection. ICBC will be looking for the inspection certificate when they go about insuring the vehicle. I tow a small camping trailer with a car in Alberta. I would like to go camping with it in B.C. Everything is legal about it in Alberta but I see one rule may be different In B.C. I have heard there is a reciprocity rule where if its legal in the registered province its legal in the other provinces as well. Is this true? The trailer weighs between 1400 and 1700 pounds loaded (630 and 770kg) depending on whats in it, but is over half the weight of the tow vehicle. It has trailer brakes but In Alberta I do not need a breakaway device, do I need one in B.C? 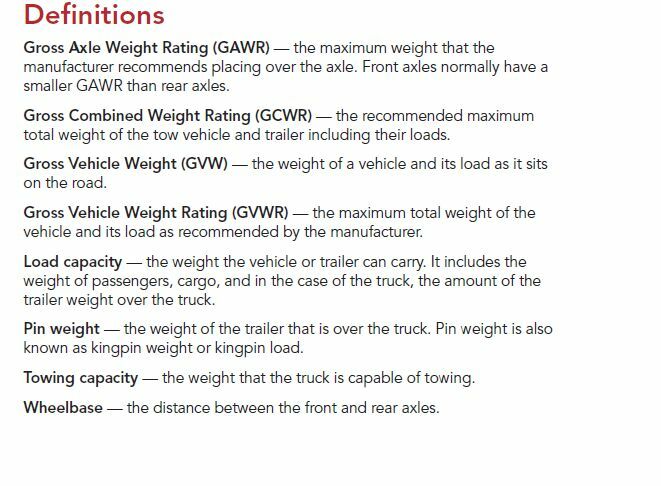 Also since it is a car it does not have a tow rating or GCWR, the total GVWR for the car is not exceeded nor is the weight rating for either car axle. The trailer axle, frame and tires are all rated above what the weight is as are the car tires and hitch. The unit easily exceeds the alberta braking distance requirements and the BC rule i found that says Vehicles must have at least 1 horsepower per 150 kg of total GVW. So Do I need a breakaway device and Would there be any other problems or changes I would have to make to tow this in B.C? We have sent your question to the CVSE for review. Stay tuned! Does it sometimes take a few weeks to hear back from them? Sorry to bother you if it takes a while, I just want to be sure my question wasnt lost or forgotten about. Thanks. We did get a response for you from the CVSE in the form of an attachment. We are sending it directly to you via email at the address you provided here. Hope that this helps and thanks for following up. My Dodge Ram has a GVWR of 12200. It has a towing capacity of 15850. These numbers are on the door frame. I just weighed my truck and trailer when they were connected. The truck was carrying 12000 on the two axles and my trailer was carrying 14000 on it’s axles. I’d say that I was in safe territory. Together I’m pulling 26000lbs (truck and trailer). However, someone just asked me what my GCWR is for my truck. I didn’t know there was a GCWR. It turns out that my GCWR is 23000lbs. This means that I’m over by 3000lbs! Does this mean that I’m travelling illegally? Or do I just need to satisfy the GVRW and Towing Capacity? The Gross Combination Weight Rating isn’t even on the truck. I needed to go online to find this number. Hello Mark and thank you for connecting with us here. Unfortunately, GCWR can not be exceeded. It sometimes is not on the door panel but should be in the manufacturers manual for the vehicle or online as you found. The warranty on a vehicle is void if your combined weight exceeds the manufacturers rating. Hope that this helps! Re towing a 5th wheel with an SUV … is it legal … They make ‘tow dollies’ to pull 5th wheels. An example of one of the many available is this one … http://ridingmode.com/tow-all-dolly/ —- specifically designed to properly mount and tow a 5th wheel with a suitable towing vehicle such as a truck or SUV (I have a Dodge Durango AWD with 5.7 L) Assuming, all the usual things like brakes, lighting, breakaway cable, etc. Is this a legal form of towing in BC ? My question is related to private recreational towing, not a commercial towing question. Unfortunately we do not recognize this dolly as legal on BC highways. We consider it a vehicle and with the other two vehicles, it becomes three vehicles going down the road and we do not recognize a three vehicle combination that weighs under 11,000 kg. Ok…. no dollies with a SUV/5th wheel … is it ok to modify the front of a 5th wheel so there is a trailer hitch in place of the normal 5th wheel PIN. Similar to what is shown in these pictures. Is it legal, do mandatory inspections need to be done, if yes, for what, and where. ? As this is a design change from the manufacturer, it might fall under Part 3 of Motor Vehicle Act Regulation Division 25, however, we believe that would be quite a stretch as it is just a different hitch. So, if the only question is would this require inspection, the initial answer would be ‘no’ unless the person declared to ICBC that the vehicle is modified and then they might request an inspection. I have been told by several different people that we have to have a 3/4 ton truck to pull our fifth wheel trail through B.C. It is a 26 ft. light weight trailer and we have a heavy duty 1/2 ton 4 x 4 chevy truck. We would only be going in the summer time and I don’t want to get stopped for doing something illegal. What are the requirements for pulling a trailer. We are not exceeding the load limitations of our truck. We are presently dealing on a new truck and want to have the right one. Thanks for your question. As long as you don’t exceed their GVW or the Manufacturer’s Rating on the plate of the door frame you should be fine. I just purchased a landscaping trailer made of aluminium that ahs an axle rating of 3500lbs, a box rating of 2500lbs and is equipped with electric brakes. My Santa Fe cando up to 5000lbs of towing and has a brake controller. Now, there is different opinions when it comes to speed limits when towing. Some old folks told me there is an 80km/h speed limit on highways in British Columbia when you tow, whereas the trailer place I bought from said it is always posted limit. Which fact is correct? SO even a pickup truck is a commercial vehicle. When a highway speed limit is posted, say 100km there sometimes will be another sign saying “commercial vehicles, 80km. So the answer here is not that you are towing a vehicle that restricts the speed limit, it is because you are a commercial vehicle and when a sign says commercial vehicle you must go that speed limit. I hope that is understandable. I need to tow my truck with another truck about 5 kms home. I cannot find anything clear about it in the motor vehicle act. Is it legal for a 1 ton truck to tow a 3/4 ton truck with a properly rated tow strap? A licensed driver will be in the towed truck with the engine running, for the brakes, turn signals, & steering. The towed vehicle won’t move forward on its own power when in drive but is perfectly operational otherwise, engine runs, brakes, wipers, lights, & AC works, goes into neutral, park & reverse. Forgot to mention that both trucks are empty except for the driver. We have sent your question forward to the CVSE for review. Stay tuned! (6) No person shall tow a motor vehicle if there is a person in or on the towed motor vehicle. Thank you for the quick reply! We have sent your question forward to the CVSE. Stay tuned! We spoke with the CVSE who told us Canadian and American calculations should be the same, that passengers are not included in the GVWR and that you are correct – the GVWR minus “curb weight” is the weight of the vehicle empty, will tell you what weight you can haul. Hope that this helps! We’ll be moving from Alaska to Colorado in October. We have a Dodge Ram 2500 4WD that will be towing our 37ft 5th wheel. What are the Canadian laws for snow tires/chains along the ALCAN? Are chains required on the 5th wheel? What about the tow vehicle since it’s 4WD? Our other vehicle, a Chevrolet Trailblazer 2WD will be towing a 12 ft flat-bed tilt-trailer with an ATV on it. Even though the current tires are rated for snow, we planned on putting our studded tires on before we hit the road, but would chains be better? I just want to make sure we’re adhering to all the laws and making our long trek south as safe as possible during the start of winter. Anything else we need to know? Our other suggestion is to check DriveBC for road condition information along your route, so can be prepared for the conditions that lie ahead. Hope that this helps, if you have any other questions, please don’t hesitate to let us know. Happy trails! I’ll check into this with our people in Commercial Vehicle Enforcement and Safety, and get back to you here. Because 8’6” is a legal width, anything over that width personal or for business, must buy a permit. It is $15.00 a trip or you can buy a term permit for a month(30.00 or year for 360.00) by calling the Provincial Permit Center at 1-800-559-9688. We have sent your question forward to the good folks at the CVSE for review. Stay tuned! A person can not change that rating, however, you could go to the manufacturer and if they change it and mark it on the vehicle that would be allowed. Hope that this helps. Hi I’m traveling to Bc this October with my travel trailer, it does not have tires that are marked m/s. My new 1500 series gmc has tires marked with the mud and snow symbol and new tread less than 5000km on truck. Just became aware of snow tire requirement for bc highways. I would like to know if I meet the winter tire requirements, before I leave Ontario to visit Nanaimo. Not sure if I missed the response, but if I am towing a heavy 12,000+ lb 5th wheel holiday trailer (registered in Alberta), into BC for holidays, do I need to worry about those special license requirements? (I’m an Alberta driver and all vehicles are Alberta registered). Hi Blaine, Sorry if we missed your enquiry earlier. I am checking now with CVSE on the answer to your question. Hi Blaine, I am told that we honour all the rules of Alberta licencing for RV travel in British Columbia – so nothing special required. Happy RVing! I need to trailer a sailboat though BC to Yukon. The boat is 30′ in length and max width is 9’3″ (2.8 meters). I recognize that I need an oversize permit as I am over the 2.6 m limit. What sort of conditions can I expect? Will I require a pilot car? Do I need municipal permits as well? Hello, I have a vehicle that is rated for zero towing capability. But the exact same car in Europe is rated to tow 2200kg. Q1 Class1 hitches are commercially available for purchase on N America, can I legally install them? Q2Can I install european hitch and legally tow here? Q3 can I make my own hitch for the car and legally tow here? Q4 what would be the max weight I could tow? Thanks for your questions. We have sent them forward to the good folks at the CVSE for review and will let you know as soon as we hear back. Stay tuned! Seconding the question by Bob about european tow ratings! If its true that the manufacturers manual rating is supplied for warranty and liability reasons, does that mean the true towing capacity can be found by comparing the gross combined weight and…? The GVWR? We’ve asked the CVSE directly. Stay tuned. All on the door panel of the vehicle and none of these can be exceeded. You also can not exceed the GVW that you pay to ICBC for insurance. If this isn’t enough or the right info, let us know and we can connect you with the CVSE directly. Is there any regulation that states what the maximum tongue length on a trailer can be? I have a small utility trailer that I would like to transport kayaks on and require a longer tongue to accommodate the length of the kayak. Thanks for your question about transporting kayaks. I’m checking in with our CVSE folks to get the answer to your question about a tongue for your trailer. Will get back to you here, when I have the answer. I need to move a 3500 GVWR car, Uhaul rents tow dollies within that weight class, but their tow dollies do not have brakes. Total weight of the dolly is 750 lbs + vehicle 3500 lbs = 4250 lbs total. Would I be able to tow this combination to Alberta with a truck equipped with a 5000 lbs hitch, GVWR of 7200 lbs, 8300 lbs max towing capacity, and a GCWR of 14000lbs? Also what would the fines be if that is not legal? We hope that this answers your questions. Something to keep in mind is: GVWR is a rating amount for the vehicle, not necessarily what the vehicle weighs. Hi, great resource you have here. I’m looking at buying an older 5th wheel. I have found two models. Both have been converted or built into toy haulers. The first one is an early 90’s and has a serial number and a gvwr of 6400lbs.The trailer now has 3 7000lb axles instead of two 3200lb axles it came with. Axles have electric brakes and 16″ load range G tires and the rear frame has be strengthened. The other 5th wheel trailer is basically the same thing but with three 6000lb axles but the trailer has no vin number as it was home built. My question is can the first trailer i taked about be recertified with i higher gvwr somewhere? And can the second trailer be certified at all? I think I can get a vin for it but will it have a gvwr given to it as well when vin is applied? I am in Alberta but plan to travel all over B.C with what ever I decide to buy. Thanks for connecting with us here. We shared your question with the CVSE and they have the following response for you. We are not sure what Alberta allows in this situation. If you are legal in Alberta, we do honour Alberta decisions while travelling in BC. Ist question – A higher GVWR can be applied to a trailer (in BC) with an engineer’s inspection to certify it when heavier axles and rear frame have been added. 2nd question – Home built trailers can be certified (in BC) given a serial number and the axle(which isn’t home built) will have a rating on it to determine the weight allowed on that axle. I was intending on building my own truck camper and am looking for regulations I should be following. Good question. We have asked the folks in the CVSE. Stay tuned! We don’t regulate campers as it is not a vehicle. The size would have to be legal (2.6 m) in width and secured in a way to meet standards of load security. Also if propane is involved it would need to be inspected by the safety authority. Also keep in mind that the building products do not cause the vehicle to exceed the GVWR of the manufacturer’s rating. Thanks for asking about toterhomes that exceed the maximum legal length for an RV to be towed. I’m checking with our Commercial Vehicle Safety and Enforcement folks and will get back to you on that. I have heard back from Commercial Vehicle Safety and Enforcement that the overall allowable length for an RV and trailer is 65.6 feet or 20 metres. There are no permits or exception allowed. Exceeding that length would be illegal, and a fine could be possible, with an order to not proceed. I’m asking CVSE about this for you. I would like to tow my car(2001 Jeep) with a school bus that I’ve just bought. Is this legal in BC? The school bus will have an in transit permit from Alberta to BC. We have sent your question forward to the good folks at the CVSE, so stay tuned. There is not a problem towing a jeep behind a school bus, as long as the school bus is not operating as a school bus, ie. children being picked up and dropped off. Also the towed vehicle must be licenced. I have one for you, I have a alberta registered toy hauler (43′ triple axle 14000LBs) I bought it while working away. I plan on bringing to bc to do some camping. I know bc has that “heavy trailer” endorsement.. how does this work for albertans that do not have that (because it is not reqired in alberta) coming into bc? We’ve sent your question to the good folks at the CVSE, so stay tuned! We do honour another province regulations for drivers licence conditions for recreational travel. However, we only allow a trailer with a hitch (other than a fifth wheel) to be 12.5 m in overall length. That is 41 feet. You mentioned your trailer is 43 feet, which would not be allowed. I have heard that your wiring harness that plugs in to the bumper for a fifth wheel trailer that the connection has to be in the box of the truck to travel into bc. is this true? Thanks for your comment and patience while we looked into this for you. Nothing in the CVSE inspection manual or regulation specifies that the plug must be in the truck box. Hope that this helps. We are looking at buying a travel trailer in Alberta (the model was not available in BC – sold out). The dealer in BC advised us to be wary of the trailer not being certificed for BC. Is that true? What should we be looking out for ? Thank you for your inquiry regarding a fifth wheel travel trailer from Alberta. British Columbia does not require a fifth wheel travel trailer to have a Commercial vehicle inspection, it only applies to “motor vehicles”. Hope that this helps! I bought a new 2015 3500 Dodge Ram with a factory built in fifth wheel/ gooseneck ball….. I have a 40 foot fifth wheel trailer. My question is, can I pull my trailer in British Columbia with the gooseneck ball an is my length gonna be within the legal limit? Thanks for connecting with us here. We spoke with the CVSE and they informed us that the legal length for a pickup and trailer is 20m (65’6”) regardless of which kind of hitch you use. Hope that this helps! We recently purchased a new boat with tandem axle trailer. The combined dry weight of the trailer and boat is about 6300 lbs. Then fuel and accessories. The trailer is equipped with surge brakes on both axles and has a GVW rating of 7500 lbs. Is this setup legal for towing in BC? Thanks for your question. Do you know the allowable GVW on your truck? The licensed GVW of your truck must include the weight of the loaded trailer. Hope that this helps! CVSE has confirmed that with your supplied GCVW you are within legal load requirements. You will need to licence your truck for 15,00lbs or 6,800 kg to ensure you are licenced to haul this combination. Hope that this helps. I have a travel trailer with one of those swivel wheel trailers (http://smarttrailers.com/) behind it. It is more like an extension than a trailer as it does not have a pivot point. Is this legal in bc? Im thinking about building a “tiny cabin” at a place i have near Princeton that is designated as “RV” lots. Meaning no permanent structures. I have a trailer that was a dual axle travel trailer before with 2 3500 pound axles and my idea was to build a “cabin” on top of it. It wouldn’t be towed around unless the lease went south for some reason. The idea would to build onto it a 10×21 foot structure. If i followed the height guidelines would there be any issues with this setup as long as i stayed below the weight rating of the trailer? I know i would need a permit to tow because of the load being 10 feet. The CVSE has responded directly to you with their answer to your question, but we wanted to share their response here, just in case anyone else has the same question. “We get a lot of inquiries regarding tiny homes and there has been research on tiny homes by our department and decisions on allowances are under construction. Are there special speed limits while towing a trailer in BC? I know in Alberta you are limited to 100kph. Great question! We spoke with the folks at the CVSE who confirmed that commercial vehicles are required to travel 10 km per hour than the posted limit. But because you are not a commercial vehicle driver, those rules do not apply. Our best suggestion is to contact the BC RCMP and travel at the speed you feel most comfortable at. Hope that this helps! I pull a horse trailer and the dealer is telling me that in BC I have to have trailer tires on it and my friend is telling me to buy the same size tire in a truck tire, my dealer says truck tires on a trailer is illegal in BC. Any truth to this? We have sent your question forward to the CVSE, stay tuned. Can not exceed 100kg per centimeter in width for weight. Perhaps the manufacturer has an issue with the axle of the trailer they manufacture that requires a certain tire. I am planning a trip to Alaska. I have a 5th wheel that is set up to pull an ATV trailer. I have spoken with the RCMP and they said that this would not be legal…. I have a question about a trailer like device that attach’s to the back of my 5th wheel using to 2″x2″ square stock and the trailer would be attached by bolts to the back of the 5th wheel. There is no tongue involved and the trailer has two wheels at the back that would pivot and carry wait. Is it legal to install car tires on a ubilt utility trailer? Thanks for your comment. ICBC has more information on the regulation and requirements surrounding ubilt utility trailers. http://www.icbc.com/vehicle-registration/specialty-vehicles/Pages/Ubilt-vehicles-and-trailers.aspx Hope that this helps! I just wanted to know if based off of the house trailer endorsement requirement, what applied to people from Alberta vacationing in BC. I have a one Ton truck and my trailer could be over the 4,600KG, but almost always it is under. So does anything apply to out of province people that we need to be aware of. With trucks or RV’s other than being within our rated capacities? The good folks at the CVSE have sent you a response via email. Hope that this helps! We own a 2007 Salem travel trailer, purchased new in 2007 in Grande Prairie AB. when we lived there. We have since moved to B.C. two years ago. We just brought our trailer here this year but seem to have lost the original bill of sale and the registration slip for the Salem. How do we go about registering it here now in B.C.? I have conflicting information. I have an 1998 SUV that has a tow rating of 680kgs, GVWR 1791kgs, GAWR FRT 910kgs, RR 990kgs. It uses all the same wheel, brake and suspension components as the V6 version that came out as few years later with a 1580kgs tow rating. I want to use it tow a trailer that weighs 1360kgs that is equiped with brakes. I see there are rules that apply to vehicles manufactured after 2001 that say the trailer must not exceed the tow vehicle ratings. But there used to be a document that said vehicle tow ratings were for warranty purposes. I assume that this was for older vehicles and that new rules came into effect in 2001. I have tried towing this trailer and vehicle handling is not compromised. No axle weights are exceeded. Stopping distances are easily much shorter that required. Mechanically my vehicle is capable of towing the trailer with only normal increased wear one would expect from working components working harder but for the few times a year I want to tow this trailer 20kms, its not significant. What are the laws that apply to my situation? We have sent your question directly to the CVSE for review. Stay tuned. The CVSE has already responded directly to you with an answer, but we wanted to share the answer here as well, in case anyone else might have the same question. “It would appear that if you do not exceed axle weights on your motor vehicle and trailer you are compliant on British Columbia highways. Thanks for connecting with us here! I am looking at building a new aluminum boat and want to know where to find information on trailer licensing relative to width of boat. I am looking at a 9 1/2 foot width, but it will be only 24 feet long and weigh about 6000lbs. Trailer is not an issue but I need to know how to legally license for width as I plan on towing it 5-6 times a year. We’ve sent your question forward directly to the CVSE, so stay tuned for an answer. The CVSE has responded directly to you, but we wanted to share the response here just in case anyone else has a similar question. You will just licence your trailer as normal, utility trailer plate. What you will have to do is buy a permit for over width. Legal width is 2.6 m or 8’ 6”. You can purchase this permit by phoning the Provincial Permit Center when you are ready to transport. The cost is $15.00 a trip or you can buy a term permit in which you can make as many moves as you like for $30.00 The permit center phone number is 1-800-559-9688. I have a registered utility trailer that I recently added a small structure to sleep in while camping. Is there anything I need to do in terms of re-registering it, or any modification I need to complete that will keep it legal? Can I tow a fifth wheel with a short box truck into B.C if using a sidewinder hitch? Good question Jordan! We have sent it forward to the good folks at the CVSE for an answer. Stay tuned! Thanks for your question about towing a utility trailer that is registered in Alberta, within B.C. As this has to do with licencing and registration, you will need to contact ICBC. ICBC has a toll-free number as well as an email where you make your enquiry. See: http://www.icbc.com/about-icbc/contact-us/Pages/default.aspx Safe travels (and towing)! Hi. I bought a 17 ft single axle travel trailer for a reno project and Im wondering if I m able to roll up to highway scales to check the weight of my Ram and trailer before and after completiion. Could you help? I’m checking into that. Will let you know when I know. Hi Kris, Yes, you can visit a vehicle inspection station to have your trailer weighed before and after you have loaded it. The inspection staff appreciate if you phone first. If an inspection station is not open, the scale read out is always on and you could weigh yourself. Also some are self weigh (self serve) so you could just stop by. For hours and locations see: http://www.th.gov.bc.ca/cvse/inspection_stations.htm Here they are shown on a map: http://www.th.gov.bc.ca/CVSE_Mobile/InspectionStations/ Safe travels! The good folks at the CVSE have just sent you a response directly, but we wanted to share their response here just in case anyone else has the same question. British Columbia does not require a fifth wheel travel trailer to have a Commercial vehicle inspection, it only applies to “motor vehicles”. The requirements you listed below for electrical or gas systems is not in our jurisdiction. Sounds like you are doing a great job of investigating your requirements. I hope you enjoy your travels in British Columbia. We have sent your question directly to the good folks at the CVSE for clarification. Stay tuned. Hello, my father in law has a large boat he tows from central bc to Prince Rupert, it does not exceed the 8’6″ width, but is heavier than 4,600kgs loaded on the trailer. Why does he need a commercial heavy trailer license for this, it is strictly recreational, no air brakes. His tow vehicle has more than enough capacity for the weight. It’s quite puzzling why recreational “house” trailers have a simple strategy for licensing, but a recreational boat owner has to deal with commercial training, annual checkups and reporting with a physician once 66 years old, etc. thx. The idea behind them is that this ‘hitch extension’ can take the weight of the tongue when a vehicle is nearing it’s payload capacity but still within GCW. Example would be an F350 with a cargo capacity (GVW – tare) of 3600#, currently loaded with 3000# of stuff and wanting to tow a 8000# trailer. Tongue weight of 800# (10%) would put the vehicle over despite the F350 having a GCW allowing t5he trailer. I know they are sold in Alberta & Ontario, so what is BC’s rules? As per section 7.07 (d) of the MVAR, only a motor vehicle (not trailer) is allowed to be towed behind a “towing dolly”. Also, as per section 19.10 (a) (i) of the MVAR, “an axle or axle assembly”, i.e., pony trailer cannot be fitted to the towing dolly. For my knowledge sake then, when does such a device become legal? Minimum GVW? Air-brakes? etc? I ask because I see large commercial trucking firms (let’s pick on UPS) that run double 20/23ft trailers (and now 40/53ft on the Coq) with a tow dolly between the pair. I’m assuming air-brakes are required as they, unlike electric/hydraulic, apply automatically if the trailer separates from the tow rig. We are going to connect you directly with the CVSE on this to carry on the conversation. Hey there, I live in Alberta and I’m owner & operator of my commercial light duty hotshot and transport business. I only stay within Alberta for my commercial hauling at this point in time, but I am curious. My tow vehicle is an F350 SRW 4WD, Crew Cab, Long Bed. I generally haul my tandem axle equipment/car flatbed trailer which weighs roughly 2000 lbs empty. The Tare weight of my F350 is 7400 lbs with my toolbox with tools etc in it. My trailer is rated for 10,000 lbs GVWR and my F350 has a GVWR of 9900 lbs. I am just curious really if I would ever have an issue going through BC with my truck & trailer set up commercially with my Business name, Tare Weight and my registered commercial GVW weights decaled on both sides of the vehicle (Alberta’s transport laws) I also run a Commercial Class 1 License plate on the truck. Both my truck & trailer have Alberta Registered plates. The trailer is a pintle hitch trailer. Like I said before, I don’t conduct business in transporting commercially outside of my home of Alberta at this point in time, but my question is this. If I was on vacation/holidaying in BC, would I have any issues or criteria to be aware of driving my commercial labeled truck and or trailer through BC? Such as if I was hauling my own ATVs or picking a car up from BC to bring home with me, granted I am purchasing the car etc? Is there any form of paperwork, or permits I would need to do so because I am commercial? My registered GVW is under the 11,794 KGs mark. I have it registered at 11,500 KGs GVW if that makes a difference. I appreciate any info you can give me. Thank you for your time. Thanks for connecting with us here. This sounds like a question for the good folks at the CVSE. We have sent your question directly to them. Stay tuned for follow up. Given your weight and vehicle combination, you are classified as a commercial vehicle in BC. If you are entering BC for business purposes, you will need to have either BC pro-rated on your Alberta registration or call the permit centre at 1-800-559-9688 for a non-resident permit. If you are not travelling in BC for business purposes, you will need paperwork showing the purchase of the vehicle you are transporting or paperwork that shows the ATVs are yours and you are only holidaying in BC. Also, your registered weight will require you to stop at any open inspection station, at which time you will have to produce this paperwork. We have sent your question forward to the good folks at the CVSE. Stay tuned! Similarly, if I have a utility trailer that has a dry weight of 900lbs and a GVWR of 3500lbs, and secure a 600lb ATV inside it for a total weight of 1500lbs, would it be OK to tow if my vehicle is rated to tow 2000lbs? The vehicle weighs about 4000lbs and has a GCWR of 7000lbs. As long as the axle weights and combined weights fall within the limits shown and the hitch is rated by the manufacturer for this weight, you are good to go. I live in Alberta and own a piece of property in BC. I have constructed a garden shed for my lot and want to know of any restrictions during transportation. the shed is less than 2000lbs and the trailer will be rated for 7000lbs (car hauler) with brakes on two axles and I have a one ton dully which I am way under its towing capacity. As for height it is lower than my 5th wheel so I assume that is ok but is there a width restriction and if I am over what do I need to do to be compliant? Could you let us know the width of the shed? That will help us make the call on whether you will require an over-sized permit. Thanks! I have measured my shed and the body is 8 foot 3 inches but the eave is 9 feet 0 inches. If I need a permit please advise any other requirements it would be appreciated. We’re relaying the details to the CVSE folks. Stay tuned. CVSE says yes, you need a permit. Legal width is 8’6”, so because the eaves exceed legal, you will need a permit. The fee for oversize permit is $15 and can be ordered by phoning the permit center at 1-800-559-9688. I own and alberta insured and registered truck. Would I have an issue towing a utility trailer with bc plates? I’m moving to bc and don’t have a bc vehicle yet. Hi Jordon – There’s no problem as long as both vehicles are licensed and insured. We have a dodge ram one ton pick-up and would like to haul a 5th wheel and a boat behind it. Is this legal? Unfortunately BC does not allow the operation of three-vehicle RV combinations, as explained in section 5.4, Chapter 5, of the Commercial Transport Procedures Manual. Hope that this helps! is it legal to tow a fifth wheel with a single rear wheel or dose it have to be dually ?? If the manufacturer`s rating indicates you can tow a certain weight using a single axle and that is the weight of your trailer, you would be ok. If you have a heavy trailer and the 2 tires on your single axle is not capable of towing that weight, you would need a “dually“ which is 4 tires on a single axle. Hope that this helps! HI, I am planning to tow an auto trailer with a 15 uhaul truck. The total trailer weight is within specs, but as it is over 6160 pounds it seems I will need a device so I can operate the trailer brakes independently. This seems like a good safety precaution, but I can’t seem to find any information about these devices and uhaul doesn’t seem to know much either. Do you know where I could find some information about these? I know you can’t recommend a dealer but i”m just thinking about if they are easily installed. Thanks. (c) where the licensed vehicle weight of the trailer exceeds 2 800 kg, be capable of being applied by the driver of the motor vehicle towing the trailer from his normal seated position. If the vehicle or vehicle combination does not meet this requirement or is unable to, it would be considered non-compliant when operating on highway. Hope that this helps! trailer and taking it down like that. What should I do? Just to clarify – are you travelling across the border from Canada to the U.S.? Or in the U.S.from Washington to California? We will be traveling from Oregon to Penticton, BC this summer for vacation. I have a boat that weighs 3500lbs and 5000lbs with the trailer included. It has surge brakes. My question is that sufficient or do I need actual brakes for the trailer? I was told by my Yamaha dealer that it shouldn’t be a problem since I have Oregon plates but I wanted to make sure before I tow it all of the way up there. Will they stop me at the border to look at the rig set up? I have never been up to BC before so I want to make sure everything is compliant. We have forwarded your question to the good folks at the CVSE. Stay tuned! The CVSE responded directly to you, but we wanted to share their reply here in case anyone else was wondering the same thing: Yes, surge brakes are allowed up to 2,800kg or 6,173 pounds. Thanks again for connecting with us here. Hope that this helped. Is it legal to flat tow a vehicle in BC? I have gotten conflicting answers. If the vehicle I am towing is less than 50% of the weight of the vehicle doing the towing, it does not require brakes, so can I tow smaller vehicle with a tow bar? My tow vehicle is 6500Lbs and the vehicle I want to tow is 2500Lbs. I know RVS can do it, can smaller trucks do it as well as long as the towed vehicle is less than 50% of the weigh? When towing a vehicle the law looks at it as a trailer. You are right that if the “trailer” is less than 50% of the vehicle doing the towing AND is less than 1400kg (3000lbs) you do not need brakes. You would also want to check the manufacturers rating of your motor vehicle to insure it is able to do the towing. Also the vehicle being towed must have licencing on it. The limit works like this. Say you have a truck and it’s Tow Capacity is 2,000lbs. If you go over 50 percent of that capacity you require brakes. If you haul something 999lbs your fine but hit the 1000lb mark. It’s tow capacity not weight. So if your truck is rated 10,000lbs towing you have to be 5,000lbs and above. The tow rating is set on the engine, transmission and braking system installed meaning if they say it can tow it also means it can stop it. Yes. BUT if the size of the trailer hitch is quite large, there might be a situation where the hitch has to be treated as rear projection itself, when no trailer is attached. In that case, the vehicle including hitch could likely not exceed 12.5 m long, per section 7.08(6) and Appendix B of the Commercial Transport Regulations, and two sections of the Motor Vehicle Act Regulations would be relevant: 4.20(2) and 19.02(3). (b) at any time other than that specified in section 4.01, a red flag or cloth that complies with section 8.05 (c) of the Commercial Transport Regulations and which is visible to the driver of a vehicle to the rear is attached to the extreme tip of the projection. (e) a vehicle so loaded that any part of the load extends beyond the sides of the vehicle. Hi there. I want to build my own car hauler to haul a typical 3,500 lb. car. Obviously has to have brakes with an arrestor. I am wanting to make my own axle because no one has the right size for me. I want it to be a single axle 6,000lb with a 3″ drop – going to use pre-made spindles and brake backing plates and 3″ diameter 1/4″ thick mild carbon steel for the axle itself. Is this allowed? I know I have to show receipts for the trailer parts when I register as well. For the axle it will show the purchase of the items. Thanks. Thanks for the question, Mike. We’re consulting our CVSE folks on this one. Stay tuned. I am looking to do some camping in B.C. next year. Am i able to tow my brothers travel trailer that is registered and insured in B.C., with my truck that is registered and insured in alberta? This is courtesy of one of our CVSE Commercial Transport Advisers: “Thank you for your inquiry regarding camping in British Columbia. As long as both vehicles are registered and have valid insurance it is not a concern that one is British Columbia and the other is licenced in Alberta. You are OK to tow a BC registered trailer in BC with your AB registered truck, as long as it’s for personal use (non-commercial) for up to 6 months (touring/vacation). You should check with AB to ensure they have no concerns but as long as AB is fine with him towing a BC registered trailer, BC has no concerns. We are planning to bring an 8′ utility trailer into BC to carry our inflatable pontoon boats. This trailer weighs about 600# and I do have a title to it. However, Oregon does not require a license for this trailer and it is not licensed. Will we be allowed to bring it in for a two week trip? That sounds like a question for the good folks at the CVSE. We have shared this with them – so stay tuned for a response! While the CVSE has responded to your question directly, we are posting the response here as well in case anyone else has the same question. Thank you for your inquiry regarding travel in BC. Your trailer, while not required a license in Oregon, does need to have coverage in BC. We do sell a temporary operators permit, but it is from A to B and as I understand you would like to travel around for two weeks? If you are just going to one place you can order a permit by phoning our permit center at 1-800-559-9688. I would also recommend contacting your licencing department to see if they could put a binder on your insurance to cover your trailer while out of state. I hope you are able to enjoy your holiday with your pontoon boats. We have just purchased a 4 horse gooseneck trailer (2006 Silverlite). Can anybody tell us if we need to get an inspection done on the trailer before we can insure it to bring it home? We are picking it up on Vancouver Island and bringing it back to Langley. If we so need an inspection first, can we just get an A to B permit without inspection and them have it inspected in Langley? As you will note under subsection (c) “Horse” trailers are note included as part of the commercial trailer definition and thus would not trigger for inspection. Purchasing a Temporary Operating Permit from ICBC is an option which excludes the requirement for inspection anyways and would allow the vehicle to travel from A to B. The cost and whether ICBC will issue it to this specific vehicle is at their discretion as we don’t have all the details about the vehicle. I have heard conflicting opinions on this subject, I would like to ask once again. I have a swivel wheel trailer that I use to haul my motorbike behind my fifth wheel, I purchased this so I could travel through the US in the states that will not allow pulling behind a fifth wheel, all states have approved this method of hauling my bike behind the fifth wheel. I am planning on going through BC down into the USA, and wanted to know for sure if this is not legal. I am leaving within the week, I just need to know if I have to bypass BC on my travels. We have sent your question forward to the CVSE and hope to get an answer for you as soon as possible. Stay tuned. First, Section 7.12 of the Commercial Transport Regulations prohibits the operation of “self steering” axles such as these swivel wheels. Second, BC does not allow the operation of three-vehicle RV combinations, as explained in section 5.3.14, Chapter 5, of the Commercial Transport Procedures Manual. Third, if one says instead that this is a frame extension on the second vehicle (and therefore it is not a three-vehicle combination), then the fifth wheel trailer would require certification from an approved secondary manufacturer, certifying that the modified vehicle meets Canadian Motor Vehicle Safety Standards (CMVSS). And it would still be equipped with “self steering” axles. Sorry it’s not the news you were hoping to hear. I have a truck that is allowed to haul 17100lbs. My proposed trailer a GVWR of 18000lbs. If I maintain an ACTUAL weight on the trailer below my truck limit am I legal? My main concern is what is used to determine if I’m legal. Actual weight or GVWR weight on decals? We have sent your question forward to the CVSE – stay tuned! The answer to your question is “yes”, but there is more to it. There are three kinds of weight limits on trucks and trailers (and their component parts), and you can’t exceed any of the three. 1. Manufacturers’ ratings: The GVWR is the weight rating, from the manufacturer, stating the maximum weight that that piece of equipment is built to support. Lots of different components have manufacturers’ ratings on them (such as the axles, the tires, the hitch), in addition to the overall rating on each of the two vehicles. A manufacturer may also provide a specific maximum ‘towing capacity’ for a vehicle. None of those ratings can be exceeded. 2. Licensed weight: In BC, pickup trucks, which have a cargo-carrying body style, must be licensed for at least 1.5 times their empty weight, but the vehicle owner can request that the vehicle be registered for more. Except for tiny utility trailers (under 1400 kg and for non-commercial use), the registered weight on the truck must be high enough to include the weight of the trailer and any load. However, it is pointless to request a registered weight that is higher than the manufacturers’ ratings – see the paragraph above. 3. Regulation (or permit) weights: Commercial vehicles that are large enough that the limits in the Commercial Transport Regulations apply to them also can’t exceed the maximum weights set out there, on tires, axles, axle units, vehicles and vehicle combinations, unless they are a vehicle/load that is eligible for and travelling under a permit for additional weight. We are not sure what you mean when you say your truck is ‘allowed’ to haul 17,100 lbs. You may have already done some of the calculations explained above. In any case, there is no reason you cannot tow a trailer that is rated for more than you need, provided you are within all the other equipment ratings and the insured or registered weight on your truck, and the regulation or permit weights for your vehicle combination, if they apply. I’ve been told that if you have a tri-axil (6 tires) on your fifth wheel the the vehicle you are using to tow it also needs to have 6 tires, so a dually or something larger would be needed. Is this true? Cause we would like to get rid of the dually but can’t if we need it for moving our fifth wheel. Thank you for your question, Vania. We recommend checking your owner’s manual for towing capabilities of your particular vehicle. In this case, if you need a dual single axle on your truck, it would depend on the weight of your trailer, not the fact that it has a tri-axle. I would like to clarify. Can you put a fifth wheel hitch on top of a wooden boxliner if you make sure it is tightened regularly in case the wood compresses? If not, can you install it with tube spacers so it is still metal to metal or do you have to remove the boxliner (or cut around the rails). And is a plug in the truck box mandatory in BC? We have sent your question forward to the CVSE on your behalf, please stay tuned for more information. It is recommended that the hitch be installed and attached to an integral part of the vehicle. Further, the installation of the hitch should be based on the manufactures instructions. Any variance from that, is not recommended. Hope that this helps! So if it is on top of the wooden box liner is it legal to tow in BC? And do you need an extra plug in the box or can you plug in over the tailgate to the bumper plug? Because we can’t know for certain that your wooden box liner is an integral part of the vehicle, we can’t say yes to your question in certain terms. We can say that there is no specification required for wiring, only that vehicle lights must function as required. We hope that this helps. Let us know if you have any other questions, or you can connect directly with the good folks at the CVSE here: http://www.th.gov.bc.ca/cvse/contacts.htm Hope that this helps! Not quite on topic but I’m not sure who to ask. I would like to haul a canoe or kayak in the back of my pickup for personal use, not commercial. I know about the red flag being necessary. But what length of a canoe or kayak can extend over the end of a pickup with the tail gate down? i.e. pickup bed is 8 feet with tailgate down. What length can extend past that? We sent your question forward to the good folks at the CVSE. Stay tuned! Here’s the response from the CVSE: The Motor Vehicle Act 4.20 refers to 1.2m beyond the rear deck of the vehicle needing a flag or a light if travelling during darkness. The MVA has adopted the Commercial Transport Regulations which states in section 7.31, appendix B, that you are allowed a 4m rear overhang from the last axle, which is probably a lot more than you need. Hope that this helps! Does BC Transportation have any restrictions on the use of the Andersen Ultimate hitch in lieu of a 5th Wheel. The next step is the process to have a piece of new technology, such as the one you mention, reviewed for potential acceptance in the province. OK. So this hitch is more akin to a gooseneck ball in a truck bed. Where it differs is that it is not on the floor of the bed but, rather, raised on a support structure in order to meet the ball to kingpin conversion block. Are goosenecks legal in some part of the code? The next question is whether a “raised” gooseneck pin meets the regulations. p.s. Can you provide a link to the code addressing the hauling of fifth wheels and trailers. The trailer you’re talking about would be considered a ‘pony trailer’ in our regulations, and it is fine to use in BC as long as he does not exceed any of the manufacturers’ ratings on his axles, trailer or hitch, and has appropriate insurance, registration and driver license in his home jurisdiction. I have purchased a 29′ toy hauler with a 50 liter factory installed fueling station. I am told we are not allowed to carry gas in this tank on an inland ferry. It must have diesel. I have been told to empty my 50 litres of gas into 2 x 25 liter Gerry cans and put 10 liters of diesel in the tank instead. Can you verify this? I checked with our CVSE folks (who also checked with our ferry contractors) and it is correct. I Have An Older Dodge quad cab 4×4 Dually 5 Speed Manual Diesel with Pretty Good Power But I am about to possibly buy A pretty Big Boat with a fifth wheel trailer. Loaded The Trailer is 14.600 lbs with the boat and While I have the Power to pull it i need to know if I am Legal to pull it. Also the boat is 9 foot beam so over 102 inches what kind of permits and sigs will i need to tow it? We have sent your comment forward to the CVSE. Stay tuned for an answer! Is it legal to travel in BC with a trailer hitch in the receiver while not towing? We asked the good folks in the CVSE about this and here is what they had to say: We are not aware of any specific prohibition stating that it is illegal or a violation for having the ball hitch in the vehicle receiver when not towing. Only other regulation that comes to mind, depending on what the enforcement officer is saying, would be Motor Vehicle Act Regulation Division 7 section 11 under the schedule of approval of a motor vehicle, where it states: “No part of a vehicle may have a sharp or ragged edge which could injure persons or objects.” – This would be at the discretion of the officer and would be a far stretch from what the intent was of this statement. Hope that this helps. i have an 18 travel trailer in bc. What type of tires do I need for my trailer? To have trailer tires? Any help would be appreciated, thanks. I am having a problem understanding why another small trailer like a car trailer or dolly for example is not allowed behind a fifth wheel. I know it is not legal, but do not understand the logic behind it. This would be the exact same configuration as a B train on a commercial tractor/trailer with another trailer behind. this is a common combination on lumber carriers and I have also seen logs hauled this way. So if you had a commercial vehicle licence and you were within you weight limitations, Why not? I bought my 36 foot Montana in Southern Oregon and I saw several combinations like in Washington. Thanks for connecting with us here and sharing your feedback. We have shared it forward with the good folks at the CVSE. We have shared your comment forward with the good folks at the CVSE and they will send you an answer directly to your email. We are sending your question forward to the good folks in the CVSE for an answer. Stay tuned! Thanks for connecting with us here. We have just confirmed that the CVSE will send you an answer directly to your email. Hope that this helps! Restoring a 1969 13 foot triple e travel trailer and want to tow with my 2007 canyon. Any foreseeable problems. I cannot find the trailer weight but exoect that it is no more than a boler. You can always take your trailer to a weigh scale to confirm your travel trailer weight. Hope that this helps! Indeed, know the weight of your load. You need to be sure your vehicle can handle it. Knowing how the weight is positioned is good too. If you have most of the weight at the back, the back end will swing farther. 1. As per a previous post, I am planning on towing an older 24′ trailer with a GVW of 6500 lbs, but the manufacturer specifies a maximum tow weight of 6000 lbs. I will be weighing the trailer at a commercial scale before embarking to ensure compliance with manufacturer limit, but will the trailer GVW result in non compliance? 2. I am looking at upgrading drive train to 2005 suburban (engine, transmission, rear differential, brakes) with tow rating of 8200 lbs (same vehicle GVW). Given that I have proof of origin of components, will this allow legal towing at the donor vehicles capacity? Good questions Ken – we have shared them with the folks at the CVSE (who you can always contact directly here: http://www.th.gov.bc.ca/cvse/contacts.htm). Stay tuned. I understand that I cannot tow a trailer behind my fifth wheel but what is your definition of “trailer”? Please be very specific. We will be purchasing a 18ft travel trailer this weekend. I know we go to ICBC to register it, do they also provide insurance? If so, does anyone the ballpark of how much this costs? Someone told me that it’s insured under the towing vehicle? Hello! Congratulations on your travel trailer. I am sorry we do not know what the ballpark figure will be for this. ICBC does not directly insure vehicles, rather you will have to go the nearest Autoplan broker and insure the trailer there. Here is a link of those brokers for your reference. http://www.icbc.com/about-icbc/locations/Pages/Default.aspx and this is ICBC also has a reference document for RVs as well: http://www.icbc.com/driver-licensing/types-licences/Pages/Towing-a-recreational-trailer.aspx. Hope that this helps! I have a Ford 350 dually registered in Ontario. We plan on cruising acrross Canada, ending in BC for 4 months, which includes the annual inspection date. Does BC have a reciprocal arrangement which would preclude returning to Ontario for inspection? Thanks for connecting with us here. If your vehicle was here (in BC) and required an inspection, the owner of the vehicle would be able to get a BC inspection and it would be valid while operating on highway. If Ontario has insurance requirements that the vehicle must have a Ontario inspection, then they should be contacting someone in Ontario because we would not know the specifics. Hope this helps. Safe travels and enjoy your trip – sounds like a great one! I have read through all the posts on this blog, and found lot of helpful information. I would like to verify one thing. We are towing a 31′ trailer with a 2007 Jeep Grand Cherokee Diesel. The towing capacity of the trailer is 7500 lbs. The GVWR of our RV trailer is 7600 lbs, but we never get close to that, it just has a lot of capacity. We usually weigh in around 6500 lbs. Would this setup be legal, or would we automatically get a ticket for having a trailer with a higher GVWR then the tow vehicle is rated for? Thanks, and thanks for this great resource. Since your example was so specific, the good folks at the CVSE have replied directly to you. Should you have any other questions or concerns, please let us know! The good folks with the CVSE have sent your email inbox a bit more information on this. Thanks for connecting with us here. I’m going to be towing a small U haul trailer across bc. Do I need trailer breaks? MVAR3.b.i.ii states if a trailer is less than 1,400kg and is less than 50% of the licenced vehicle weight of the vehicle by which it is being towed �” no brakes on the trailer are required. We would like to tow a 45 foot trailer (vintage 1956 ABC Supercoach) from Montana into BC. What do we need to do to accomplish this due to the trailer length? Thanks for connecting with us! We have sent your question forward to the CVSE for reply. Stay tuned! Question about putting a truck camper on a truck. The length of the box is 6 foot 6 inches with the tailgate down its length is 8 foot 5 inches, is it legal to put on a 9 foot camper on this truck with those dimensions and overhang of the tailgate. We have sent your question forward to the good folks at the CVSE, stay tuned! The Motor Vehicle Regulations state that you can have a legal rear overhang of 4m measured from the center of the last axle. At over 1.2m rear overhang from the body of the truck you require a red flag. If you need further help and are close to an inspection facility, it might be helpful to have your truck and camper weighed, as the more rear overhang you have can negatively affect the weight on the rear axle. We camp in a 1968 Boler weighing 1000 lb. fully loaded. It was manufactured without brakes. Our tow vehicle is a 2014 Honda Odyssey. Is this combination legal in BC? Good question! We have forwarded your inquiry to the good folks at the CVSE. Stay tuned for an answer! MVAR3.b.i.ii states if a trailer is less than 1,400kg and is less than 50% of the licenced vehicle weight of the vehicle by which it is being towed �” no brakes on the trailer are required. Hope that this helps and happy travels! We have sent your question forward to the good folks at the CVSE, please stay tuned for an answer. The Commercial Transport Regulations allow 9,100kg on a dual axle (4 tires) If you have 2 tires on the axle you are only allowed by regulation, 100kg per centimeter of tire width. It would be helpful to weigh both vehicles to determine if you need a dual axle based on the gross weight. I am not certain of the regulations in other provinces. Hope that this helps! I’m considering purchasing a 5th wheel that has a “dry weight” of 11835 lbs. The GVWR is not available until next month as the owner has the trailer in for servicing. My 2500 GMC duramax has a towing capacity of 12,000 lbs according to the owners manual. The pin weight of the trailer of 1950 lbs (taken from spec sheet) is less than my 2500 lb truck capacity so I’m good there I think. If I purchased this 5th wheel and towed it “dry” i.e. all tanks empty, would I be legal in BC? I’m from Alberta. I guess I need to know if I have to use the GVWR of the trailer to see if I’m in compliance. Or perhaps I can get a weigh scale weighing if that’s acceptable. The basic weight rule for commercial style vehicles that are smaller than full size commercial vehicles (meaning pickups and trailers) is that you cannot exceed the manufacturers’ ratings on the axles or on the vehicle overall. That’s from Section 19.11 of the Motor Vehicle Act Regulations. The wording there is that you can’t exceed the manufacturers’ ratings without a permit, but in fact, there is no permit available for weight on those vehicles. You will need to know the Gross Vehicle Weight Rating (GVWR) of the trailer as well, because it cannot be exceeded, whether or not the towing unit has enough room in the towing capacity for it. It is concerning that the dry weight of the trailer you are describing is so close to your towing capacity, as it makes it very likely you would be over as soon as there was any load on the trailer at all. Finally, because you are coming in from Alberta, and this sounds like a vehicle combination intended for working, you may want to have a look at the information about the non-resident commercial vehicles in section 1.2, Chapter 1 of the Commercial Transport Procedures Manual, especially the sub-section on the Canadian Agreement on Vehicle Registration (CAVR). You are very welcome to call our contact with the CVSE (if you still have questions, or would like a hand working with this information. I am a resident of Washington. I would like to vacation in BC with my truck and fifth wheel Toy Hauler. The truck/RV combination is within prescribed weight limit and is legal in WA state without special permit or Driver’s license endorsement. Will I be allowed to operate in BC while on vacation or is a special permit/endorsement required? Just to confirm – your truck and rv combination is within 4,600 kg (as outlined in the blog?) If so, you will not require a special permit to travel on BC highways. How wide of boat can you tow on a B.C highway legally? The maximum legal width allowable on BC highways is 2.6 m. To be clear – when we say ‘maximum legal’, we mean ‘maximum without an oversize permit’. If you wanted to haul something beyond this width, you would be required to get a permit before you travelled. Hope that this helps! Just wondering if I can tow an occupied car (with a person steering the car) behind a truck? Is the truck you are speaking of a tow truck? Or a standard pick up? You might be able to pull someone, who is helping you steer with a winch but a tow truck pulling a vehicle cannot have a passenger occupy the towed vehicle. I have a jeep that will run, but a bottom end bearing is broken so I can’t drive it to the shop of my choice, as it doesn’t have enough power. Can I pull it with a standard pickup, or do I need to pay for a tow truck? I know in other countries you can do this with a rope between vehicles. Unfortunately, you will need to hire a tow truck for your jeep. Thanks for checking with us! Hi I am moving from Saskatchewan to BC this winter and I know winter tires are a must on my truck which I do have but I am renting a 5X8 U-Haul trailer and I was wondering if the trailer needed snow tires or chains on them? We spoke with the folks in the CVSE and they told us that the expectation is that the power unit is equipped with winter tires, but the trailer is not specifically required. Thanks for connecting with us here! HI, re trailers, what is the maximum distance from the rear lights to the back of load? I realize logging truck loads are well back of the lights and they have a flag. Division 4 of the Motor Vehicle Act Regulations, in particular 4.20 (2) which addresses rear overhang. Of larger vehicles the Commercial Transport Act Regulations say that 4.0 m is the maximum effective rear overhang for eg…a bus. That is measured from the centre of the rear axle to end of body structure. would like to know if there is any regulation concerning trailer hitch length. I have a 10 ft. camper on a 350 hd. would like to tow a 93 tracker behind . the trailer hitch would have to be under the tail gate approx. 20inches. the trailer hitch receiver is commercial grade and could take that length to the hitch ball. any thoughts ..thanks ….Dave. P.S all done for B.C. We are looking into your question. Stay tuned. Can I tow an Alberta licensed and insured trailer with my vehicle registered in BC? In either BC or the rest of Canada? Am I covered in case of an accident on my tow vehicle? We have sent a message to the folks at the CVSE. Stay tuned. Is it legal for me to pull a BC travel trailer with a US truck? My father has loaned me his truck, which is registered in the US, to use to pull my BC registered travel trailer on a trip from BC to Michigan. I’ll bring the trailer back home to BC and then the return the truck to my father. I’ve just recently be told I may not be able to do that. Could you shed some light in this? Thanks! As long as the trailer and truck have valid licensing in their home jurisdictions, and there is no commercial use at all (strictly touring), there is no vehicle licensing issues for BC. We have full reciprocity with the US for vehicle licensing. o the driver will need the heavy trailer endorsement (or class 3 minimum) on his/her driver’s license to pull it. These ratings are on the doorpost of the truck and/or on the devices themselves. A friend of mine has an older boat and trailer which is equipped with hydraulic surge braking system. We replaced all the bearings and seals, brake shoes, master and slave cylinders and machined the brake drums and also replace all the brake fluid. He was told by someone else that surge brakes are now illegal and has to change them over to electric over hydraulic. Is the information he was given true and has to convert his trailer to electric over hydraulic? Good question Ian, we are going to share this forward with the good folks at the CVSE. Stay tuned. Trailer brake requirements become a requirement at 1,401kgs. Surge brakes are permitted up to 2,800kgs. If the trailer is heavier then 2,800kgs surge brakes are no longer acceptable. Thank you very much now I have to inform my friend that he has to spend money on a new braking system after doing a complete overhaul on the old! So, the tow vehicle GVWR is applied to the combination of truck and trailer rather than the combined axle ratings? Does this not eliminate many half ton tow vehicles on the road since the GVWR of the half ton is comprised mainly of handling, stopping and acceleration characteristics under loaded conditions for a single vehicle without trailer and can be overcome very readily by a number of modifications including heavier suspension, improved brakes etc? I believe the requirements for any other jurisdiction I have travelled have only been axle ratings and tire ratings, the former not being able to be upgraded at all. Let’s share this with the good folks in the CVSE and get an answer for you. A vehicle GVWR is related to the maximum weight that the vehicle by itself is allowed to have. The manufacturer’s Gross Combination Vehicle Weight Rating (GCVWR) is the combined maximum gross vehicle combination weight allowed by the tow vehicle’s OEM (Original Equipment Manufacturer) for the tow vehicle and trailer as a vehicle combination. inquiry about the GCVWR of their equipment via the truck’s OEM.Aftermarket modifications do not come into consideration on the OEM’s GVWR or GCVWR. “A vehicle GVWR is related to the maximum weight that the vehicle *by itself* is allowed to have. The reason that is interesting is because by definition, the truck and trailer combo is no longer a vehicle by itself. The tongue weight of a travel trailer applies forces on the receiver, rear of the frame, and rear axle. Each axle is designed to run up to and including it’s GAWR safely, the frame and associated mounting points, even with OEM equipment, are designed to run at full axle load at any given time. Braking, cooling, all of the above. It is truly a strange rating. At any rate, I appreciate your reply- it’s unfortunate we are unable to travel to BC because of this. There are many vehicles *without* trailers in tow that exceed the GVWR, so it’s a little confusing. The truck OEM’s GVWR and GCVWR ratings are not arbitrary settings: these limits were tested rigorously by the OEM to ensure safety and performance. GAWR (Gross Axle Weight Rating) is predominantly confined by the axle’s bearing strength and brake’s retardation force. The sum of the GAWR must be lower than the GVWR to account for the total braking capacity (sizing of the air-brakes reservoir, air-brakes line size and brake timing etc.) of the vehicle as a whole. It is against the law to have a truck running with axle weights exceeding the GVWR. We welcome you Mike to visit British Columbia with a compliant and safe vehicle or vehicle combination. We are certain to visit Fairmont as we do every year, just a shame we have to leave the trailer behind until the two oldest kids are out on their own in a couple years. I do appreciate you takin the time to clear the confusion up though. It’s great to read the emphasis on safety. There are way too many people towing travel trailers and 5th wheels that do not understand the inherent dangers and take the task too lightly. I’ve seen fatal accidents involving RVs and it was driver error that caused these accidents. When towing a trailer of any sort you need to check your ego at the door and error on the side of safety. I would like to attach a swivel wheel tote to the back of my 5th wheel rv trailer, it is attached on 2 points on the bumper and has a single swivel wheel. Is this permissible in BC. Under the Commercial Transport Act Regulations 7.18, three vehicle combinations are very restricted. I have been told that the arrangement you are talking about would likely fall under 7.18 (1) (b) — a combined weight under 11,000kg. This would not be legal in BC. (b) having a gross combined weight less than 11 000 kg. (c) a licensed motor vehicle, one axle of which is carried by the towing dolly. (3) A person must not, without a permit, drive or operate a 3-vehicle combination consisting of a truck and 2 trailers, or a logging truck combination that includes 2-pole trailers. If you want to confirm that this applies to your situation, or gain greater clarity, here is a link to the inspection stations contact numbers: http://www.th.gov.bc.ca/cvse/inspection_stations.htm (You may want to be equipped with a photo of the setup you are considering). Did you ever get a reply to your question about your tote? I’m thinking of getting one of those new dodge ram 1500 Ecodiesels. Towing capacity is 9,200 pounds and I wanted to tow an Arctic Fox (7500 pounds) through the Rocky Mountains. I’m worried about not having enough power in the higher elevations with the little 3.0L, although I have not read anywhere on the internet that these trucks are not enough… but at the same time, it’s the Rockies so I’m a bit worried. As far as the Dodge towing vehicle, the stated manufacturer’s towing capacity of 9,200 pounds exceeds the stated weight of the Arctic Fox trailer and therefore the truck would have sufficient power to tow the trailer in the Rocky Mountains. how about a 5th wheeler + seadoo? I would keep reading that link but it’s too much political mumbo jumbo..
Hi Jason. Unfortunately, this still falls under a three-vehicle combination as mentioned in the regulations. When determining if my rv trailer does not exceed the weight limits for my truck/trailer combination, do I use the actual weight of the units as measured at a weigh scale, or the manufacturer’s GVWR and GCWR? ie, my truck weighs 6000 lb and the trailer 7500 lb. The total of 13500 lb is under the GCWR of 15,000 lb. However the GVWR of the truck is 8200 lb and the GVWR of the trailer is 8400 lb for a total of 16,600 lb which is over the 15,000 lb GCWR. You will need to use the actual measured weight (from a weigh scale) and then compare that to the manufacturers gross vehicle weight rating (gvwr). If the actual weight is under the gvwr and gcwr then you should be good to go. We are purchasing a 5th wheel and are installing a fifth wheel hitch. We were told that the wiring box needed to be mounted inside the box instead of plugging it in where the wiring is originally below the tailgate? We have sent your query on to the great folks in the CVSE, we will reply back here when they have an answer for you. Motor Vehicle Act Regulation (MVAR) does not prescribe where and how the mounting of the wiring box is, MVAR Division 4 – Lamps – specifies the appropriate lighting devices and how they must function. Hope that this helps. Thanks for connecting with us here! Is it allowable to install a fifth wheel hitch on top of a wooden liner? We are looking into a response for you. Stay tuned. We spoke to the folks in the CVSE and they informed us that no, a fifth wheel hitch cannot be installed on wood. Any vehicle hitch must be attached directly to structurally adequate frame components and must be installed in compliance with the manufacturer’s instructions. Hope that this helps clarify it for you. Hello I’m from Alberta. A friend told me that my half ton pickup cannot tow my 28ft travel trailer into BC even though my vehicle is well within its limits just because the trailer is too long. I’ve had it weighed and am well under the vehicles limits for all weights. Is this true? This length limitation is something I’ve never heard of and is disappointing since I did alot of research before buying this combination tow vehicle and trailer. According to the attached PDF link, the maximum limit for a towed recreational vehicle is 12.5 metres or 41 feet. Hope that this helps and thanks for connecting with us here. Have a 69 sportcraft tent trailer.. only came with tail lights… do I need to add side reflectors or marker lights before traveling to bc? Yes, you will require both as well as signal lamps and brake lamps. Thanks for connecting with us, we hope this helps. Does that mean I have to drill and wire market lights on the sides??? The tail lights do work as signals as well as brake lights. Or will the side reflectors work?? If you just put on reflectors you should be okay. I understand a heavy trailer endorsement is needed on a BC class 5 license to tow a holiday trailer in excess of 10,000 lbs. How does this apply to out of province drivers? Is this just an ICBC thing or is it BC gov regulation? If so, what is required by an Alberta driver visiting BC with a holdiday trailer > 10K? I just want to be sure we are legal for our upcoming BC visit as I am with Law Enforcement. In your Feb 12, 2014 response to John you indicated that there is reciprocity for out of province visitors. We are legal to tow in Colorado and have a 2012 Ram 2500 diesel with a GCWR of 22000 lbs., a curb weight of 7711 lbs., and a 39′ trailer with a GVWR OF 10500 lbs. The trailer weight slightly exceeds the provincial regulations of 4600 kgs. Does reciprocity apply to US visitors? The restriction that occurs at 4600 kg trailing weight in BC is on the driver’s license. We’ve consulted with the Insurance Corporation of BC (ICBC) and they confirmed that if you are properly licensed in your home jurisdiction for the vehicle combination that you’re operating, then you are good to drive in BC. I will be trailering a boat that weighs more than 4600 kg. Do I need a heavy trailer endorsement or would a house trailer endorsement suffice? Being a long haul driver of 25 years.. I always see these rv’s pulling trailers etc.. and they always have a flat tire.. CHECK YOUR TIRES!!! Thanks for the comment Chris. And a good reminder! We tow a 5th wheel with a closed motorcycle trailer behind. Is that permissible in BC?